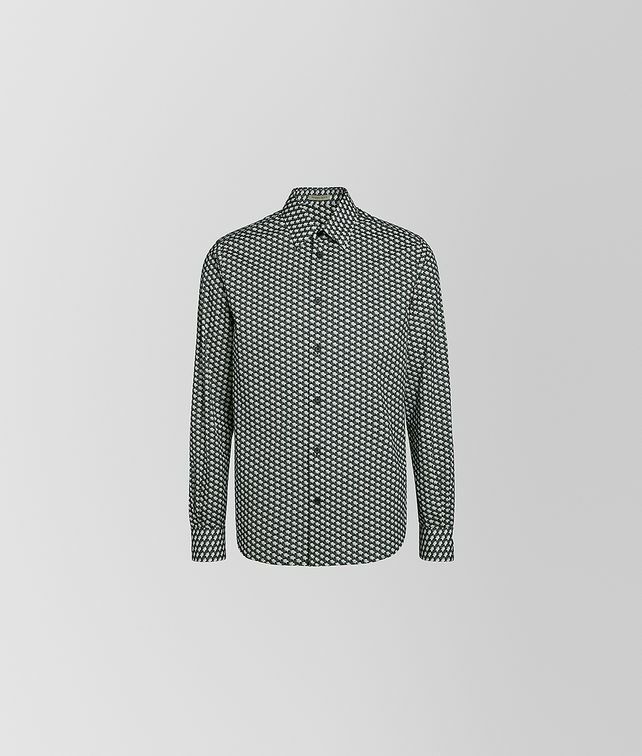 This classic button-up shirt is refreshed in a micro butterfly print, a motif that is a house code of Bottega Veneta. The shirt is designed to mix with the lively motifs of the collection. Finished with black buttons.